WINSTON-SALEM, N.C. (Sept. 13, 2018) - Winston-Salem Dash skipper Omar Vizquel, who was a three-time MLB All-Star and an 11-time Gold Glove winner during his 24-year big league career, was voted the Carolina League's Manager of the Year, the league office announced Thursday. 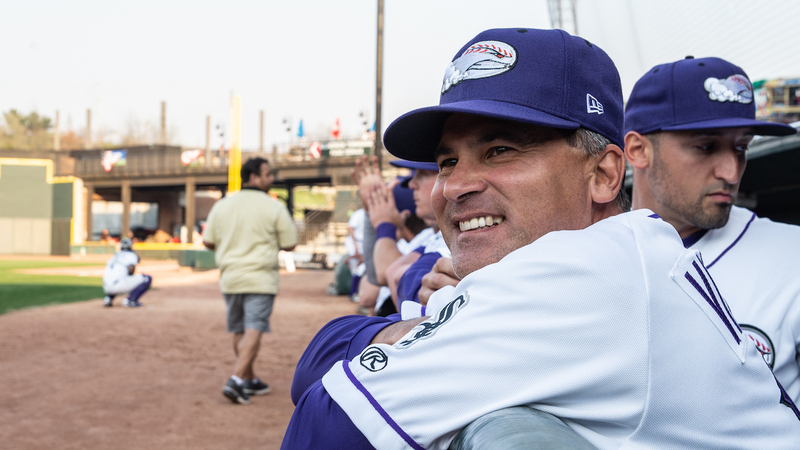 Vizquel takes home the fourth Manager of the Year honor in the Dash's 10-year history in his debut season as Winston-Salem's boss. Joe McEwing, who is currently the White Sox bench coach, accomplished the feat in 2009 and 2010, and Tommy Thompson won the award in 2012. Including Vizquel, 10 skippers have been named the Carolina League's Manager of the Year in Winston-Salem's history. Led by the 51-year-old, the ballclub had one of the most successful seasons in the Dash era (2009-present). By going 84-54 in the regular season this year, Vizquel guided the Dash to their second-highest win total in the team's history. The club's 84 victories were also tied for the fifth-highest total in Winston-Salem's history as a charter member of the Carolina League, which dates back to 1945. Meanwhile, the Dash's posted the fourth-best overall winning percentage (.609) in full-season Minor League Baseball. After Vizquel managed the Dash to a first-half Southern Division championship with a 41-29 record, the Venezuela native was at the helm as the club won a second-half title by going 43-25. This season marked the fourth time in the Dash era in which the club had finished atop the standings in both halves of a Carolina League season. 2018 also marked the first season for Vizquel as a manager in affiliated baseball. Prior to joining the White Sox organization, the former Major League star served as a first base coach with the Detroit Tigers from 2014-2017. Over his 24 Major League seasons, Vizquel established himself as one of the best defensive shortstops of all-time. He holds the record at his position with a .985 fielding percentage, and he also won nine Gold Gloves in a row between 1993-2001 while playing with the Seattle Mariners and the Cleveland Indians. Vizquel was on the National Hall of Fame ballot for the first time in 2018, earning 37 percent of the vote. League managers, general managers and media members voted on this award along with the Year-End All-Star team, which featured three Dash players - designated hitter Micker Adolfo, catcher Yermin Mercedes and outfielder Blake Rutherford.